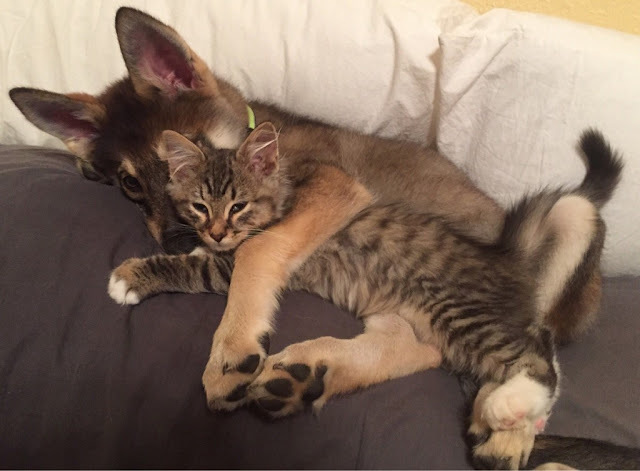 They make an unlikely pair. 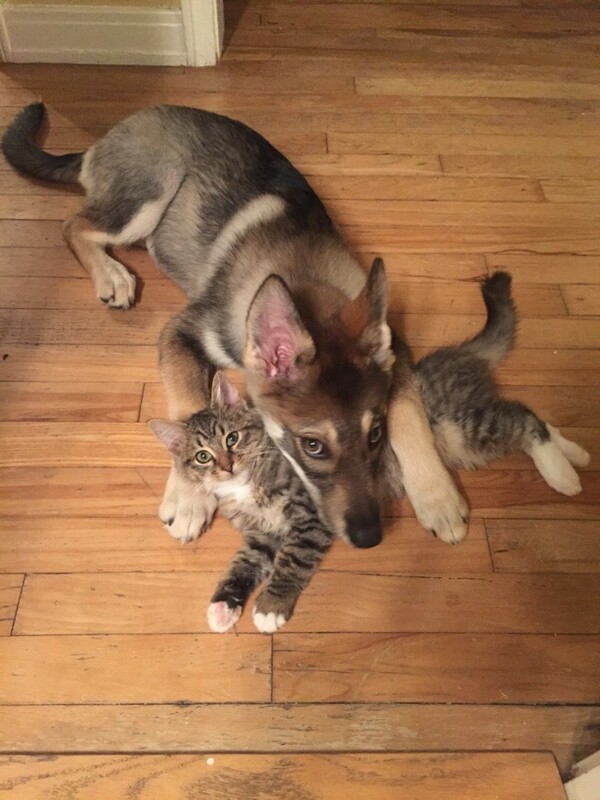 But Raven the Tamaskan puppy and Woodhouse the stray cat are a pair of bonded pets who not only live together – they actually picked each other as friends. 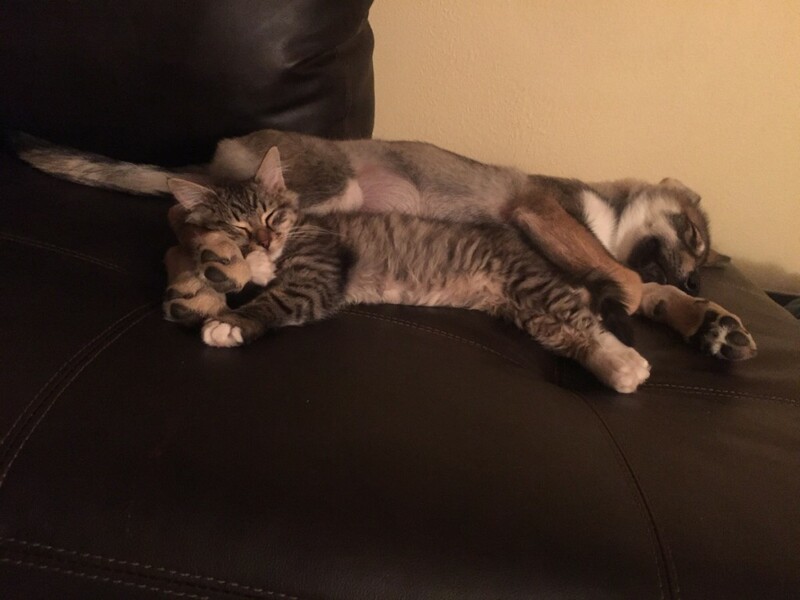 Redditor /u/jumperposse had a dream: a puppy and kitten who are raised together, living together from a young age, and bonded like siblings. Rather than adopt a cat from the local shelter and hope for the best, jumperposse did something somewhat unconventional. She let her dog pick. Jumperposse called around to local shelters to see which would allow her to bring her dog in to meet kittens, a step she says is crucial as many shelters wont allow meetings between dogs and cats. 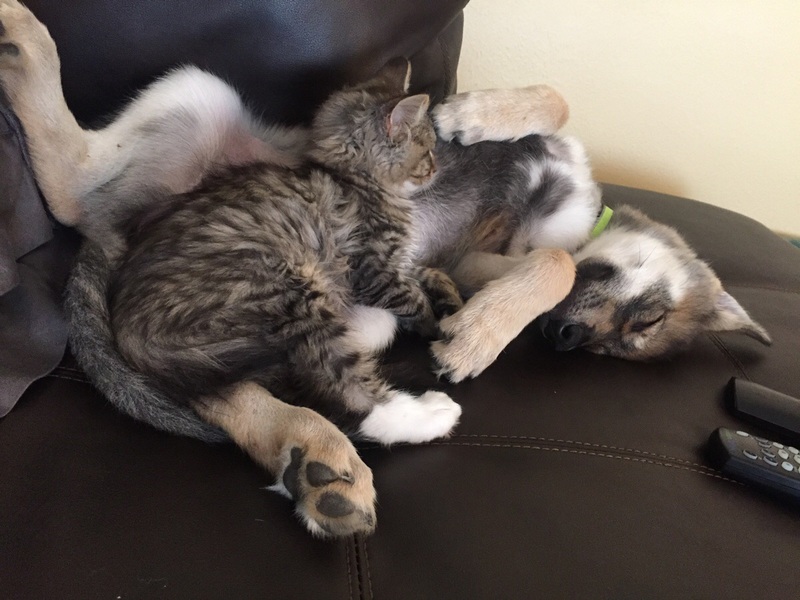 One shelter finally agreed, and jumperposse and Raven had the chance to meet four kittens that the shelter thought would be a good match for a dog. 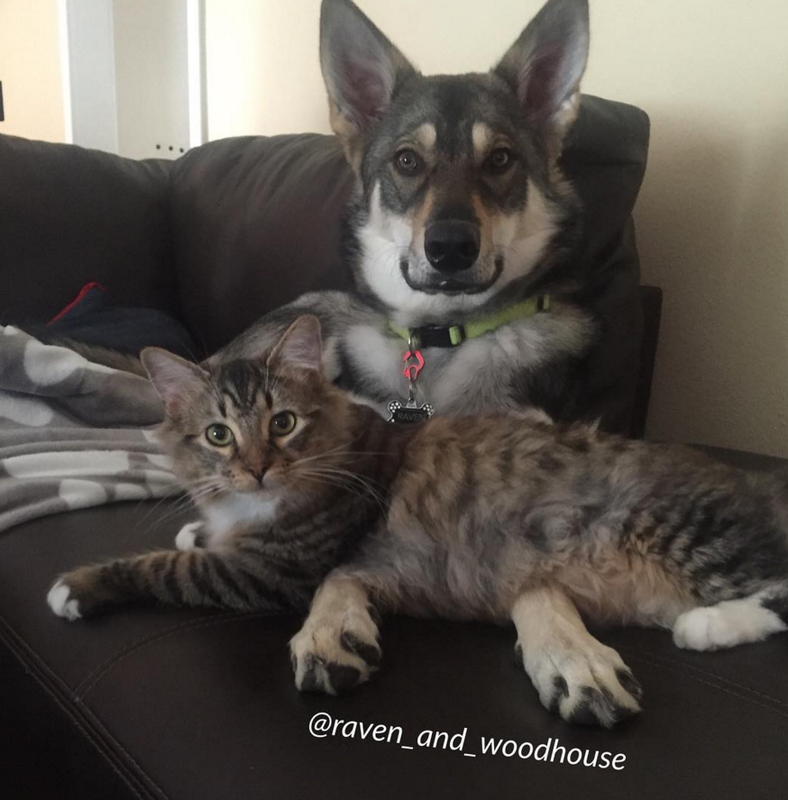 It was an instant connection between Raven and one mixed stray – Woodhouse. “They hit it off instantly. It was an easy decision on my part” jumperposse says. 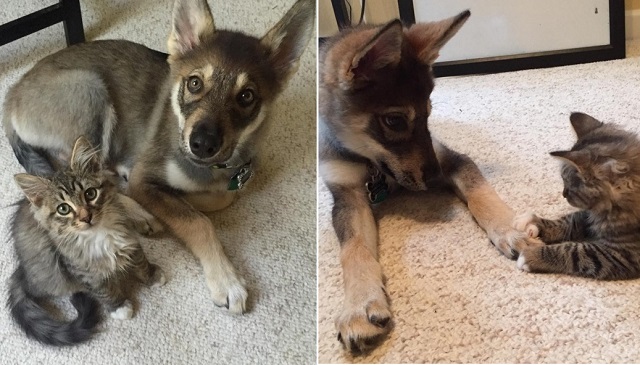 Responses to "This is What Happens When you Let your Tamaskan Pick its New BFF"
Lovely to see them together but do not leave dogs and kittens alone together. My gentle bearded collie killed a kitten by picking it up by the scruff of the neck even though she had grown up with cats.